After three months intensive rehabilitation and recovery, in the care of CatRescue NSW and their Vets, this little man has been rehomed to a loving forever family. Sadly his original owners did not come forward to take responsibility for his unfortunate circumstances. However, he now has a bright and happy future. 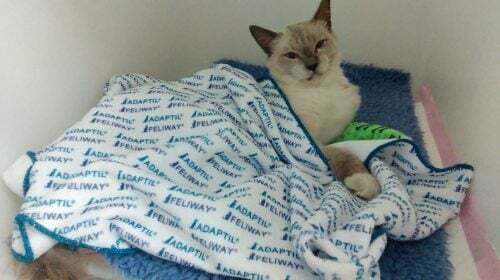 Thank you to Greencross Roseville, Allambie Vets and CatRescue NSW for never giving up on him. Male Ragdoll X Cat found on Pacific Highway in Roseville on 18/01/18. Not desexed, not microchipped. Badly injured – currently at vet clinic. Please note his coat has been shaved, but he is most likely a Ragdoll.